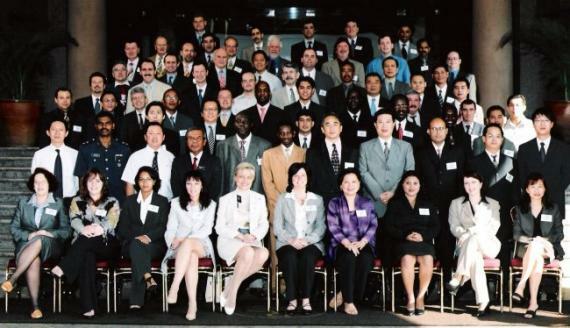 The 4th Annual Network Meeting was held at the Renaissance Kuala Lumpur Hotel in Malaysia from 28 February-2 March 2005. During the 3-day event, over 70 delegates played a vital role in determining the direction of the UFO network over the next 12 months. We were also delighted to welcome our Guest Speaker, Custom Authority Officer, Dato' Hj. Wazir Bin Hj Muaz who gave a presentation on custom formalities in Malaysia. Delegates were assigned to different Workshop Groups for each session, thus enabling them to not only discuss important issues but to meet different delegates during each session. The meeting included presentations from new Members, who took advantage of the wonderful opportunity to promote their company to 70+ other companies in 1 room. Members used the valuable Business Discussion sessions to speak freely with their fellow delegates, ensuring that they were able to represent their companies to maximum benefit.